18 months ago when I wrote a contest best practices article I’d talk at length about “driving new Fans and Followers” because that was often the goal of our merchants. But it was never the full picture. Social media contests are called that because they’re on social media, not because the extent of their usefulness begins and ends on social. The truth of the matter is this: social media contests are a fantastic way to generate leads for your business. But before Facebook’s removal of Like-to-see Fan gating, it was overlooked by the huge boost in social following they also deliver. This article will get into how to use email marketing, an optimized contest page, and a strong Facebook effort to deliver the leads and sales your business wants and needs. Some people think that contests are only useful to drive new leads and sales, but what about those people who have already proven their interest in your products or service? What about using a contest to re-engage with your existing clients? After all, why should you focus only on generating new merchants when you have a bunch ready to go in your back pocket? Focusing only on new sales has been quoted as costing at least 700% more than tapping into existing, loyal clients. 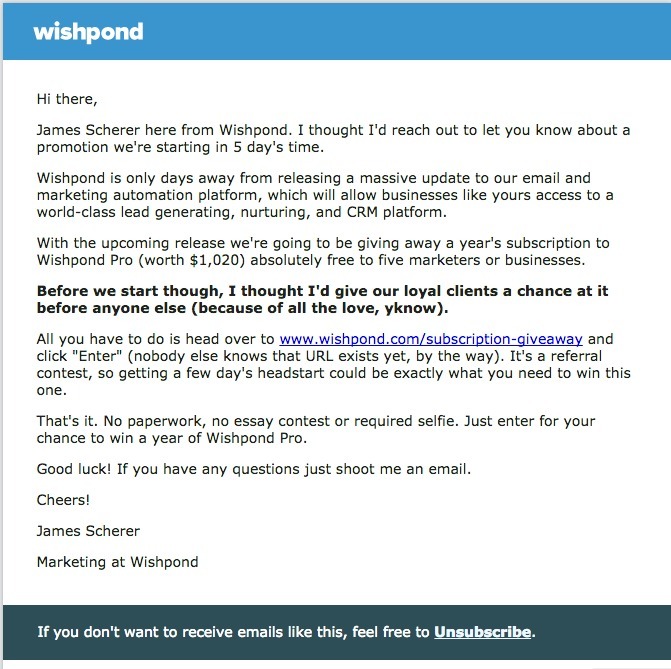 By the way, the subject line for this email would be “Get first dibs on getting your next year of Wishpond at no charge”. 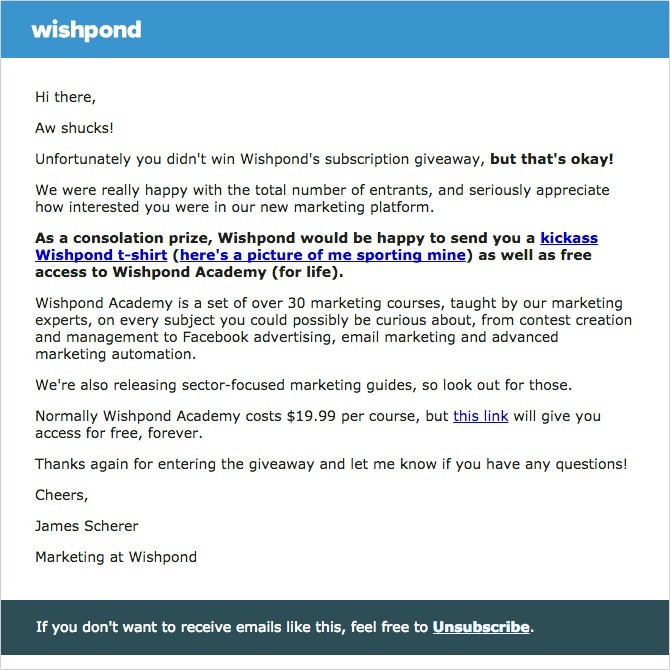 Wishpond has found that the word “free” actually reduces email open rates, as people find it salesy and often hit “spam” when they see it. But test it for yourself! Design your template: B2C companies may find a better click-through-rate with images of the prize itself (as this has proven to increase conversions on a contest landing page). Either way you’ll find more success by creating a visually-appealing email template. Though Wishpond’s is simple, it’s infinitely better than nothing but text. Facebook advertising isn’t just about driving prospective clients, it’s also about reaching out to existing ones. 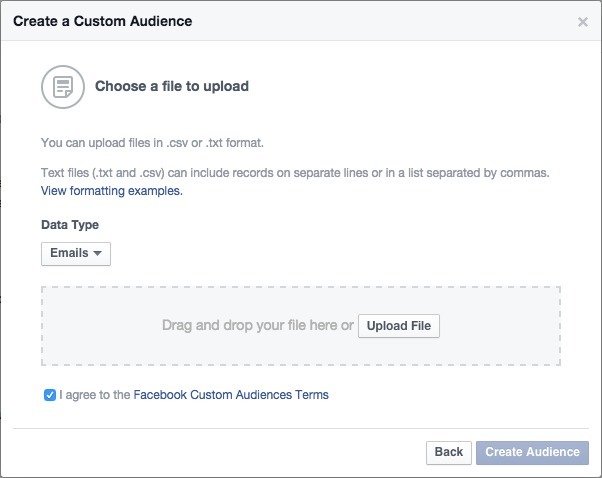 A quick export of your email list into a CSV allows you to target exclusively your email list with a Facebook ad. Cooler than simple custom audiences, though, are lookalike audiences, which are generated when Facebook’s mysterious algorithm matches dozens of different characteristics of your existing custom audience list with Facebook users who have never heard of you. After all, who’s more likely to want to engage with your business than someone exactly like your existing merchants? I’d target your lookalike audience with the same Facebook ad you use to promote your contest itself. For a complete look at using Facebook ads to drive the success of your contest, check out my article How to Ensure a Successful Online Contest with Facebook Ads. If you’re looking to spread the word about a contest, upload your email list as a custom audience and then “exclude” your existing Facebook fans to be sure that you’re not wasting paid reach on people you can reach for free. Right off the bat let’s start creating a relationship with your contest leads. Let’s introduce ourselves and ensure they know we want them to win. Let’s be friendly and helpful and ensure they recognize our email address. Unfortunately, not everybody who enters your contest is going to win, but that doesn’t mean you get to ignore them (or they get to ignore you). One of the primary differences between a successful contest and an unsuccessful one (when we’re talking success for your business, rather than just a lot of entries or a lot of buzz) is a good prize. If you offer something directly related to your business (like a free subscription, gift card, or coupon) then your entrants are sure to be people who, down the line, will be interested in engaging again. If you want a bit more info about following up with your contest’s leads, check out my colleagues Claire’s article The 5 Follow-ups You Need to Convert Contest Leads into Paying Customer. If you’ve generated over 100 leads through your contest, we can head back up to using Facebook advertising to reach out to them again in the future. First thing’s first, though. 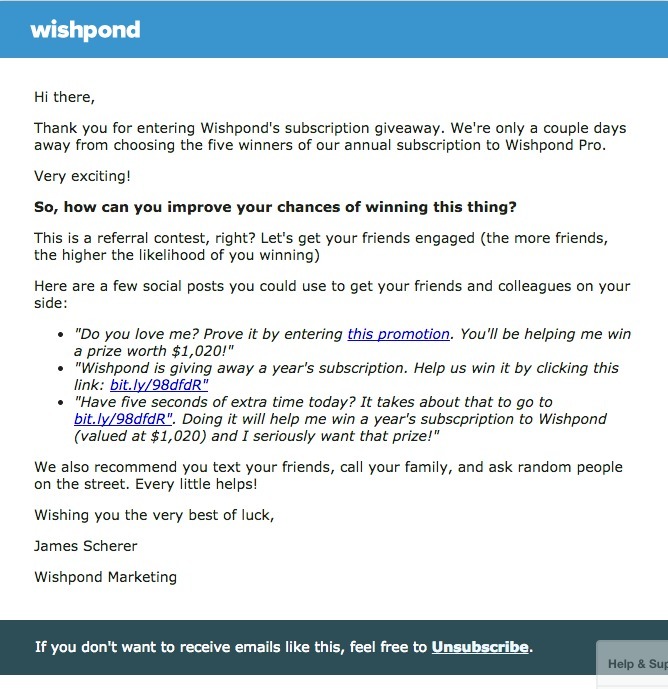 We need to ensure you’ve segmented your contest entrants into their own email list. But it might be a bit more difficult with other platforms. You can usually rely on exporting from your contest tool as a CSV and importing into whatever email provider you use. 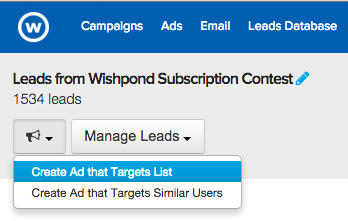 You’ll also notice in that screenshot above that (at least with us) your contest leads list can easily be targeted with a Facebook ad or turned into another lookalike audience to be marketed to again. The combination of email marketing, Facebook advertising and a solid contest (with a good prize, remember) is a recipe for success. This stuff isn’t complicated, but does require you to put more time and energy into your contest. But then again, this stuff is also the reason behind one of our recent merchants garnering more than 5,640 leads from a prize worth 40 bucks. Have any questions about Facebook advertising, email marketing best practice or how to set up a contest page that converts traffic into leads? Feel free to comment below.